Manchester United manager, Jose Mourinho has hailed the impact of defensive midfielder, Nemanja Matic, insisting that the 29-year-old Serbian has been key to what has been our marvellous start to the season. The former Chelsea man was surprisingly let go by the Premier League champions who felt at age 29, £40m was a steal but his impact at Old Trafford has been immediate, with United conceding just twice in the league and allowing attacking players the freedom to show what they are capable of. Matic and Mourinho worked together at Chelsea before the Portuguese manager was sacked at Stamford Bridge. Chelsea boss, Antonio Conte believed that the player was dispensable and felt that at 23, Bakayoko was a capable replacement for the future with the capacity to improve. Mourinho has been praising the Serbia international, claiming that he has added stability to the side. 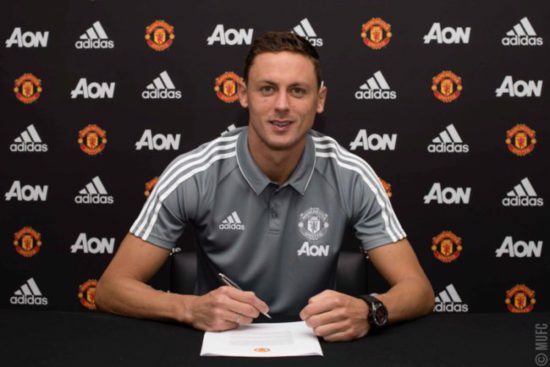 The likes of Paul Pogba, Marouane Fellaini and Phil Jones have all benefited from the arrival of Matic, who has taken to life at The Theatre of Dreams as we sit joint top on the league table alongside Manchester City. As quoted by Daily Express, Mourinho eulogised the player’s ability as he spoke to Premier League Productions: “In this moment we are a team with good stability, good control of matches. And I think Matic has been important for that. “He’s a midfield player, an anchorman. He is a player that we always need to give us some more stability in our football. And in this moment we are a team with good stability, good control of matches, and I think Matic has been important for that.” he added. Matic is a specialist defensive midfielder known for his passing, calmness, tough tackling and innate intelligence that allows him read the game. He joined from Chelsea in the summer where he helped the Blues to two league titles in three years, of which he has been a crucial and key part of. He is likely to play, barring any injury as we head to Anfield to take on Liverpool this weekend.